At just under $900, the Mitakon is the only cost effective choice. 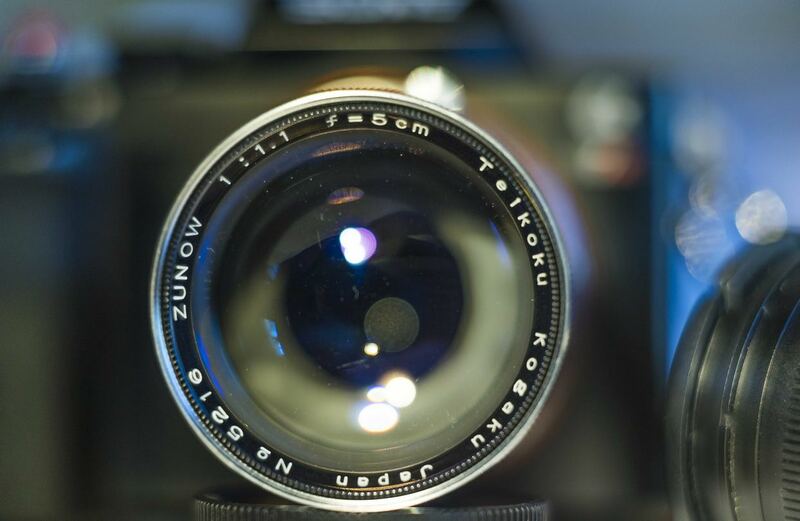 Leica Noctilux, 0.95 Leica feel, Leica Price…. The oldest member of the group and maybe the most legendary, Canon 0.95, 50mm, converted to M mount. The “Noct”, the “Dream”, the “Dark Knight.” These are the fastest full frame lenses available that aren’t limited in some way (fixed focus, gazillion dollars, limited prod) . I’ve gathered them together and will attempt to get them on a level playing field. Many will shout the Mitakon Dark Knight is the only reasonable option! It is the only native FE mount. Will that make a difference? Is $10,000 (6,852,000 Somalians) too much for night vision? Is the “dream” a nightmare at 5k? 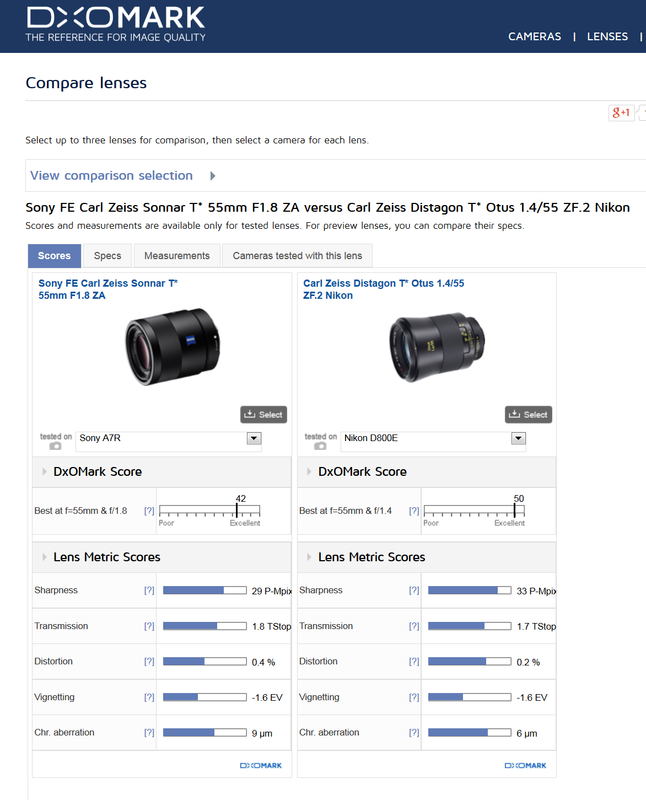 This is part two of my blog about fast 50 lenses. 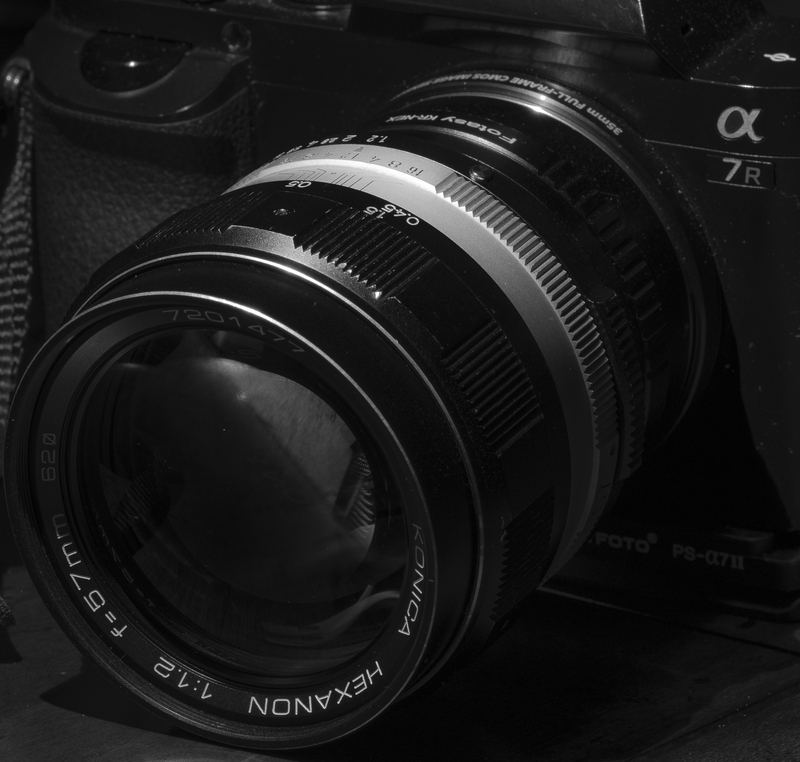 “All the tests and pictures here are done on the Sony A7r. It’s 36.4 megapixel sensor is demanding and shakes out anything not worthy. 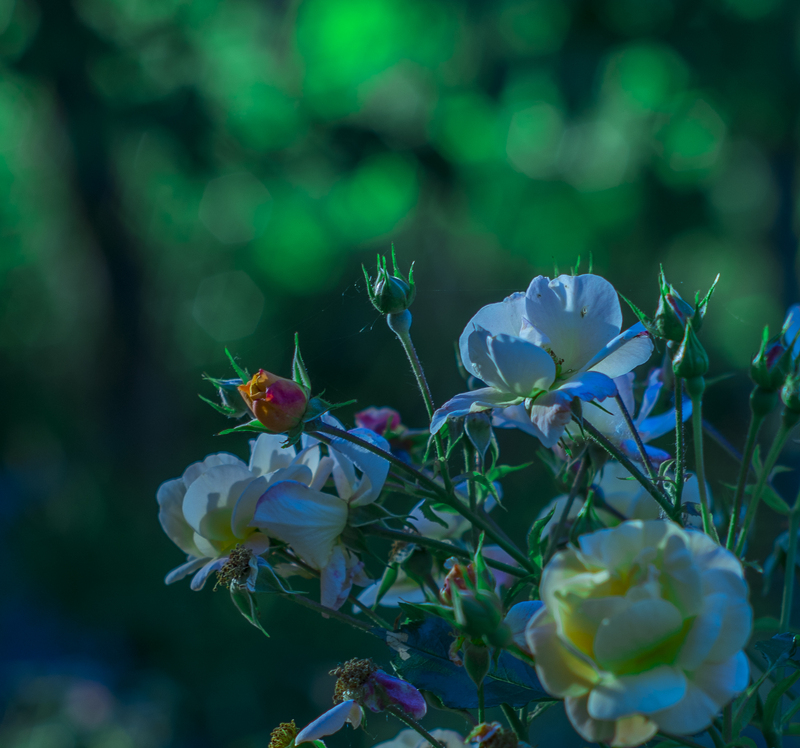 With the exception of some wide angle M mount lenses mentioned in previous articles, that suffer from severe vignetting and color fringing(that don’t perform on A7r), lenses that work on the 7r, perform great on the other 7 series cameras. These gems are not exceptions. 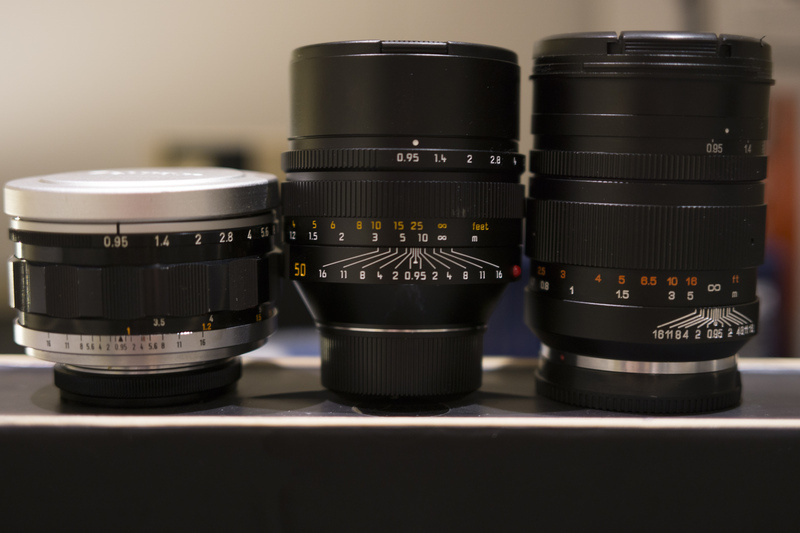 The Mitakon weighs the most of the three at 720g, followed by the Noctilux (700g) and the Canon (605g). None of the trio is lightweight. There is a price for the large aperture. The Noctilux is the only one of the three that has aspherical elements and a rear floating element. 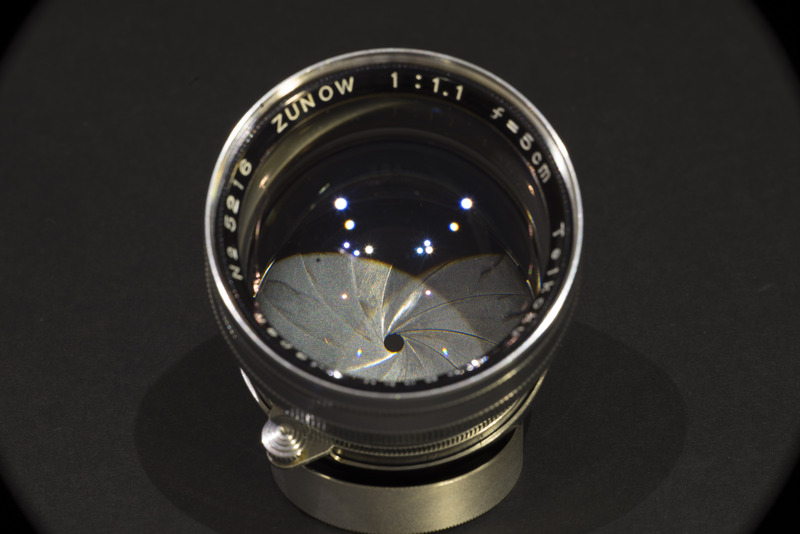 The Mitakon has 10 elements in 7 groups(extra glass explains +grams), the Noct, 8/5 and the Canon 7/5. 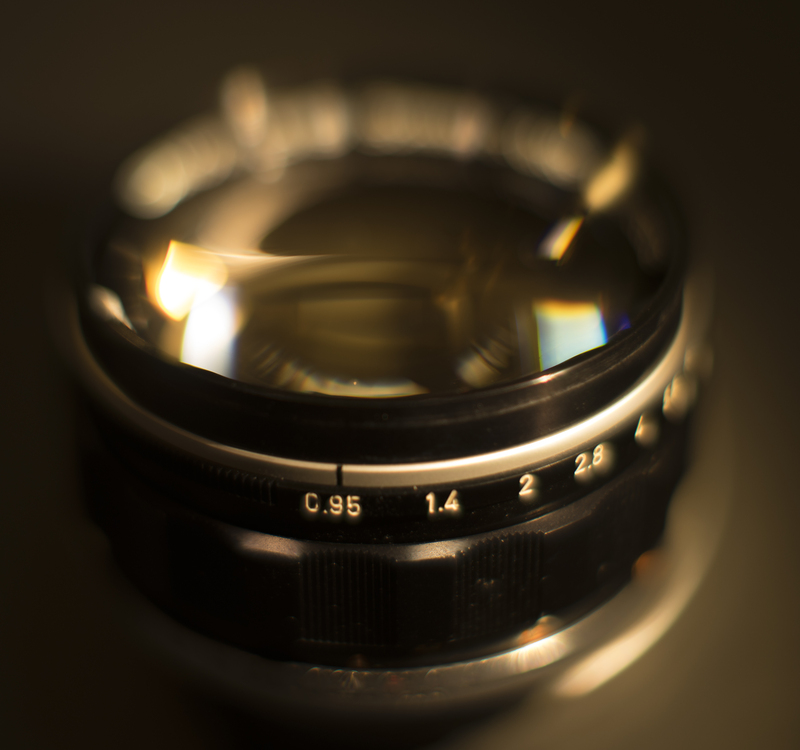 Mitakon contains 4 extra low dispersion elements, the Noctilux has 5 partial dispersion lenses. The Mitakon will focus in half the distance of the others at 1/2 meter. The Noctilux does come in Silver. The Canon originally was in a bayonet mount particular to the Canon 7 camera. My copy was converted to Leica M mount by KevinCamera. Those of you familiar with the last blog will recognize a similar test studio. 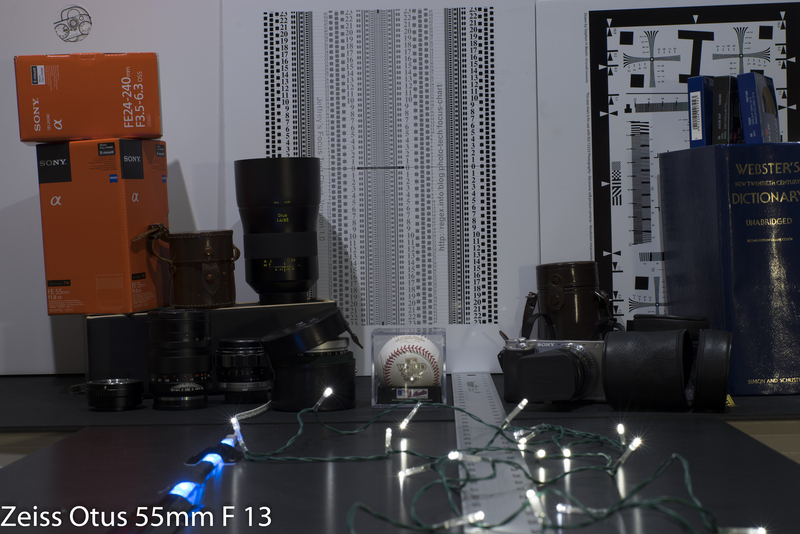 I shot three apertures, 0.95, 2.8 and f/11 in the studio. 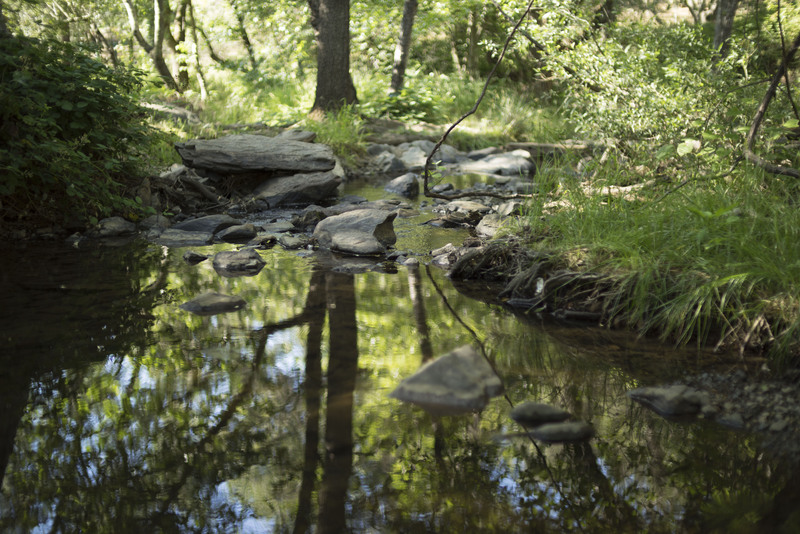 Two remote locations, Auburn Regional Park(CA) and Nevada City, CA for real world photos. All the photos I took will be available on Flickr, but the really important ones will follow. 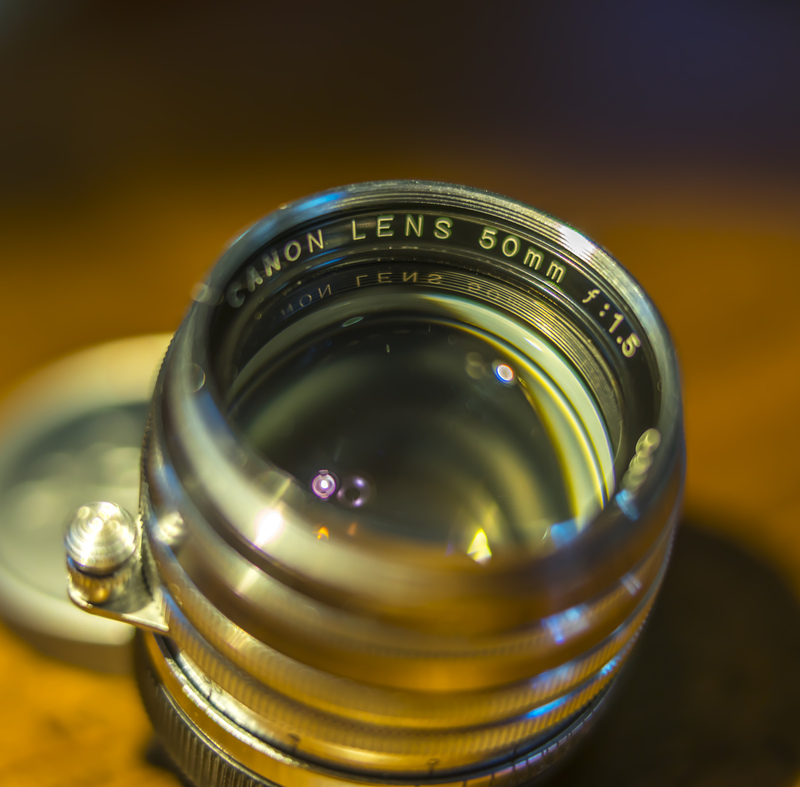 The Canon exhibits bell shaped orbs…which are common to Canon lenses of this era. The most clinical of the three, the “Dark Knight” is still very pleasant. The Leica has remarkable feel in both shape and presentation. The Leica just transitions so smoothly and creates feel without taking away from the shot. 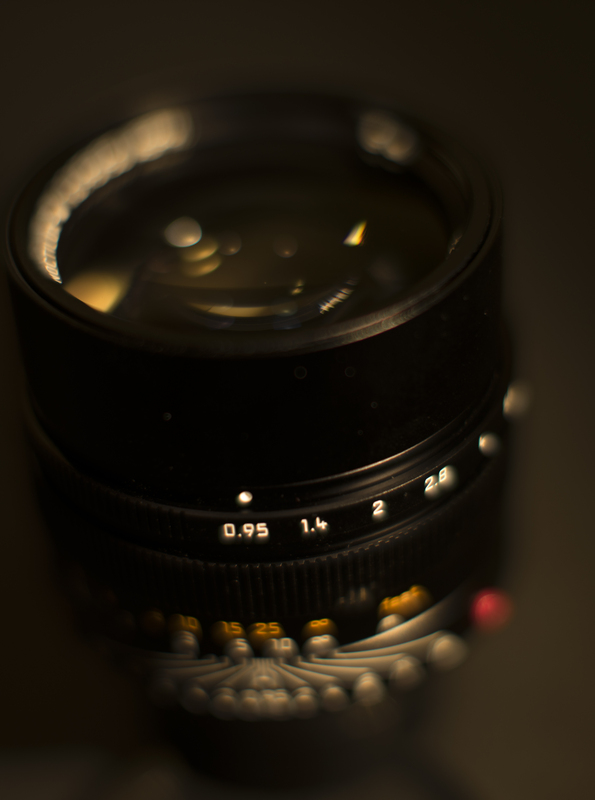 There is a reason they call it the “Dream Lens.” Nothing quite like it! 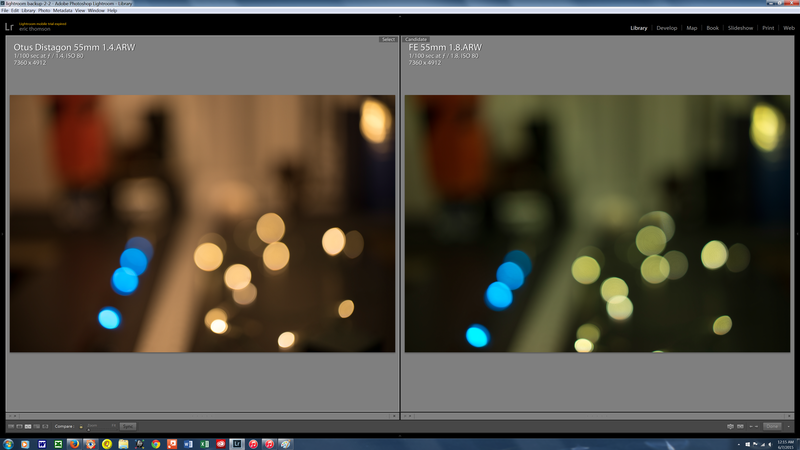 One of the most difficult attributes to test is Bokeh. Finding the right conditions outside is challenging. 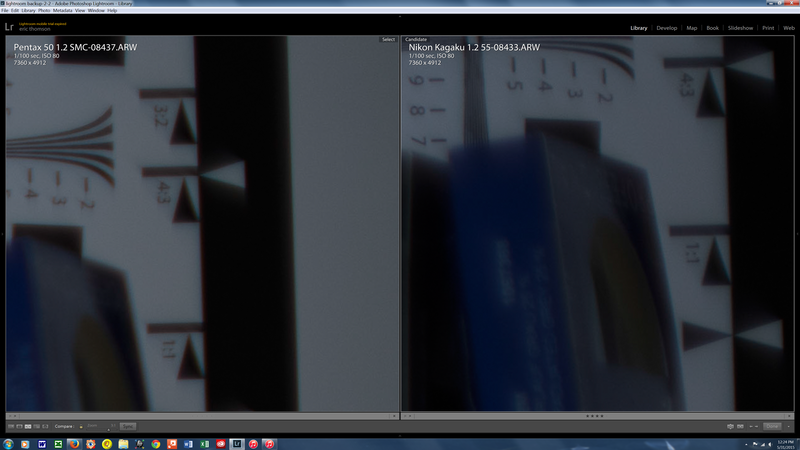 These first shots are all focused on bottom of test chart for basic shape. 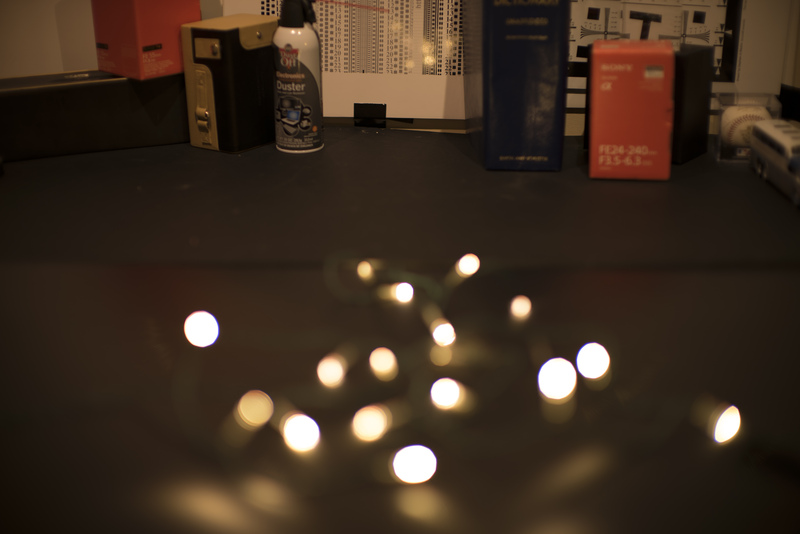 Bokeh is such an individual preference, I find the Canon and Leica are both outstanding. WIDE OPEN RESOLUTION The two relevant areas here are pretty basic, centers and edges. 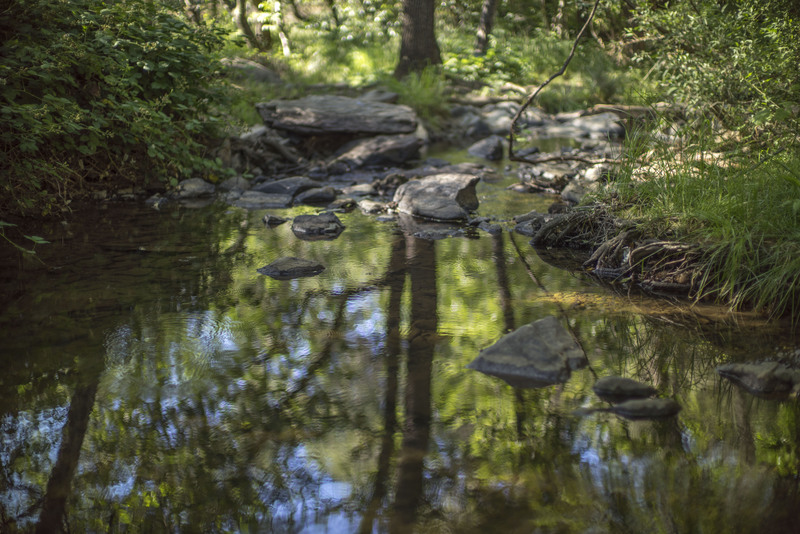 Most don’t expect the ultimate sharpness in a fast lens wide open. None of these broke that tradition. 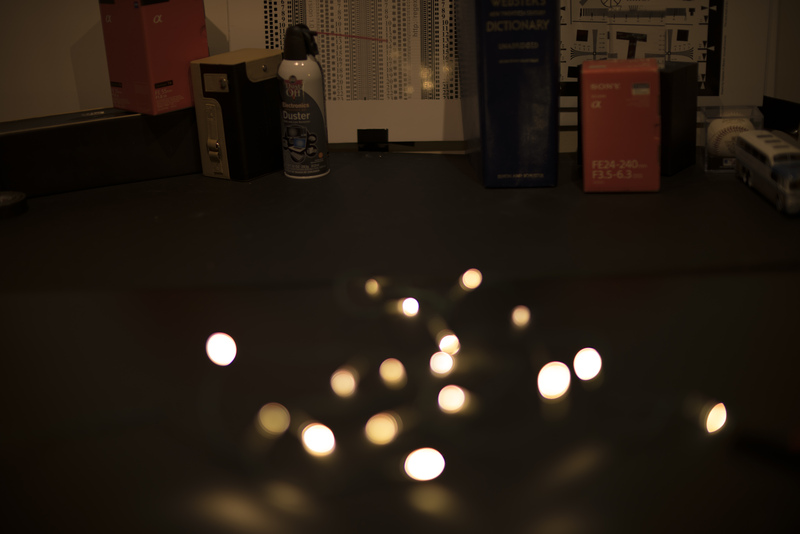 All three lenses show some mild vignetting. Nothing that isn’t correctable. Noctilux shows some purple fringing here. 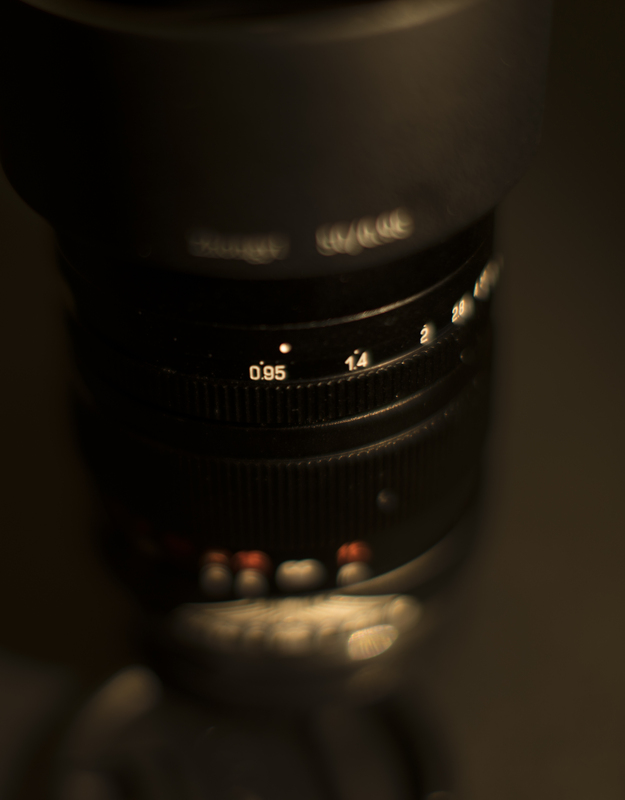 If there is a knock on the M mount lenses on the A7r… It’s purple casting. 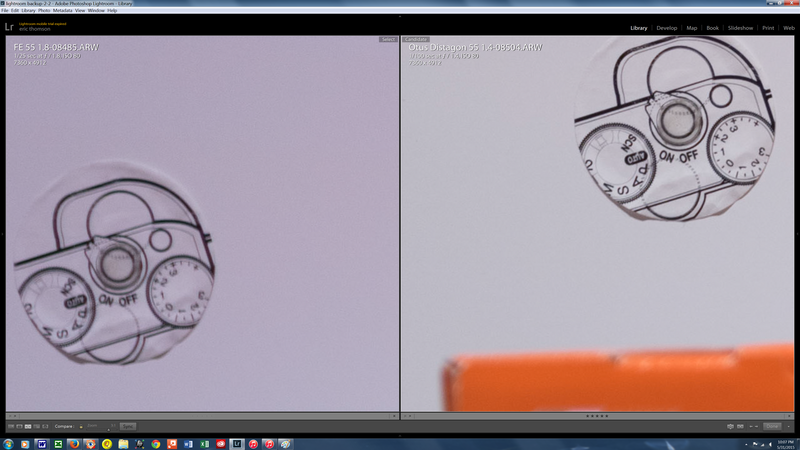 It’s slight on the 50mm, but present at wider apertures. The cleanest edges here were on the Mitakon! 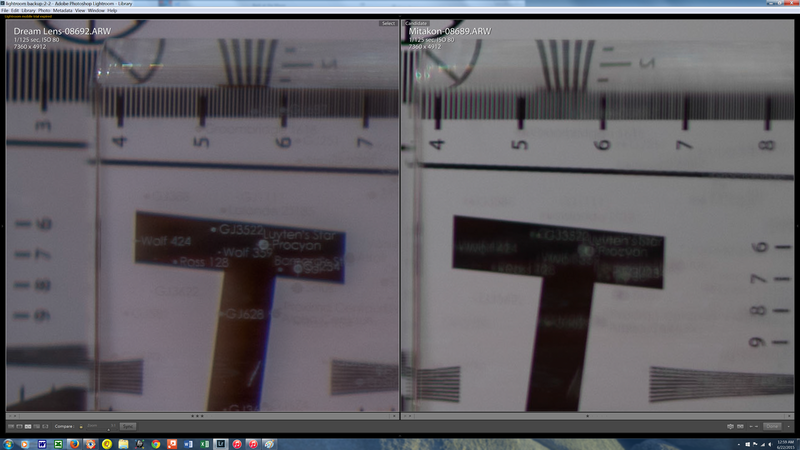 While slightly less sharp in the center than the Leica, it beat both others in edge sharpness. 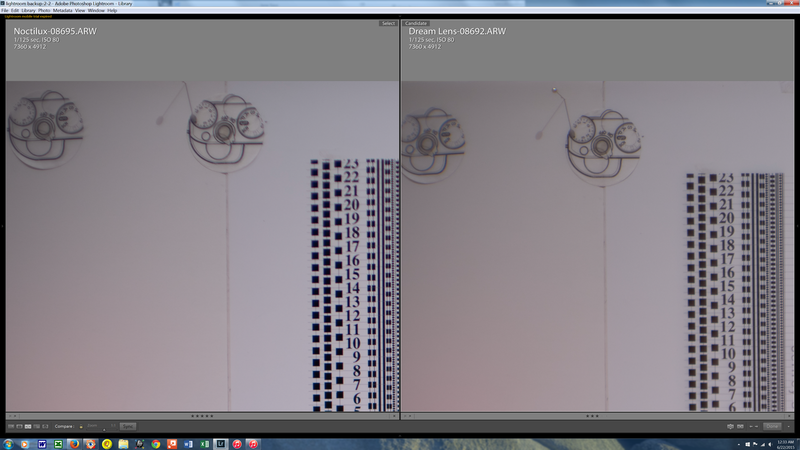 The Canon shows more DOF coverage @ 0.95 than either. You can read some of the galaxy etchings in the crystal cube on the Canon which is in front of the flat background. They’re pretty fuzzy on the Noct & Mitakon. The Canon is the softest of the bunch in all locations of test chart. Some of you will no doubt just skip anything but the wide open analysis. Can’t really blame ya for that. It’s why you purchase this type of glass. However, 2.8 works for many scenes that just a touch more depth is needed. The Canon has this! Still a bit softer in edge detail, it has a big lead in DOF. A bit of orange fringing was present on the Canon. Mitakon stays the edge leader here with the Leica starting to pull away in the center. You won’t be dreaming anymore… the darkness of the Knight will be gone… The Leica really shows what two aspherical elements can do and that floating thingy… This is a marvelous lens stopped down. Sharpness is the league of Otus 55! Hell it should be for 10k. 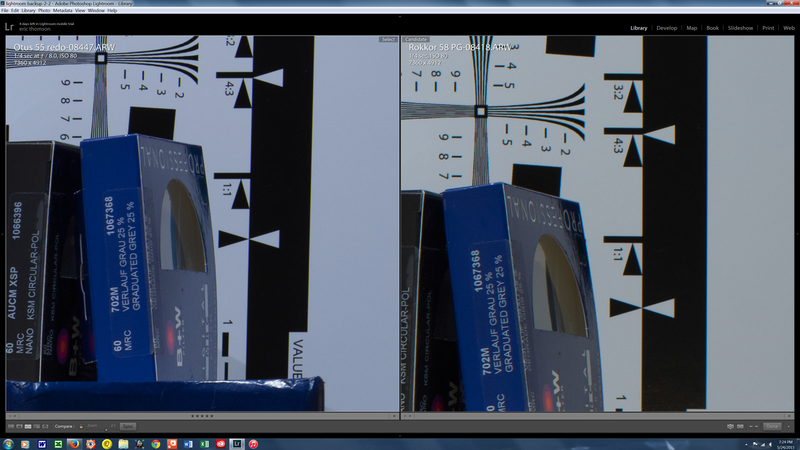 Canon shows some blue fringing on the edges. 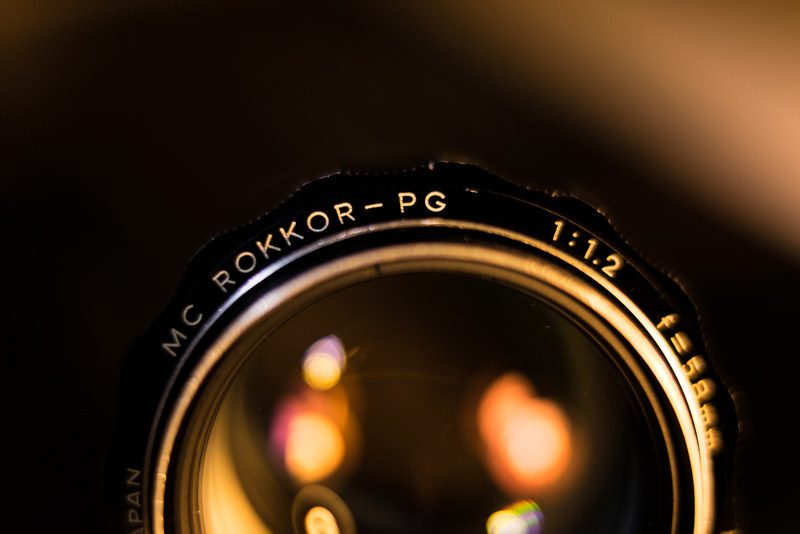 Mitakon, with the extra elements also pulls away from the Canon in center performance at this aperture. You shouldn’t give any negative points to the Canon here, it’s still damn sharp for a 54 year old lens and can hold it’s own on the 36mp sensor. WHAT’S IT LIKE OUT THERE IN THE WORLD MOM? The Noctilux is the most complete of the three. It should be for the price! Feel & more feel, certainly sharp enough, it’s dreamy quality is tough to beat! If your type of photography requires subject isolation and background feel, with some post processing, the “Dark Knight” is an alternative worth considering. It has been my quest to not be boring in these two articles! 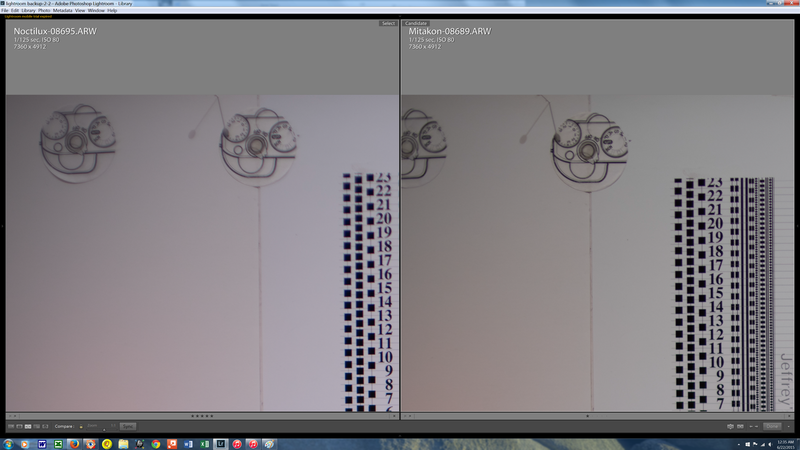 Ton’s of test shots and the same scene over and over will be minimized (hard to avoid entirely). 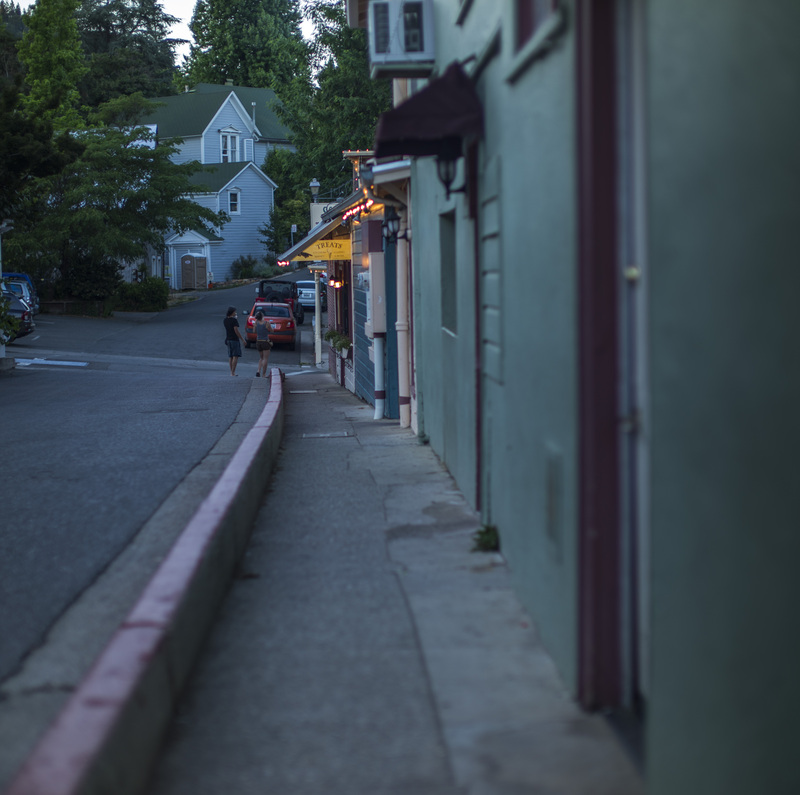 Nevada City is a great place for shooting. 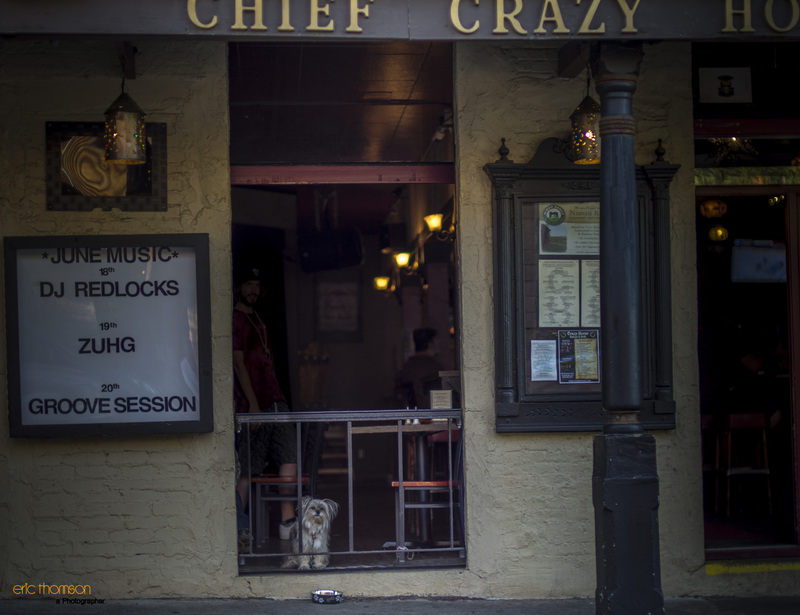 It’s small enough that I can walk around, shoot, change lenses and walk around again. 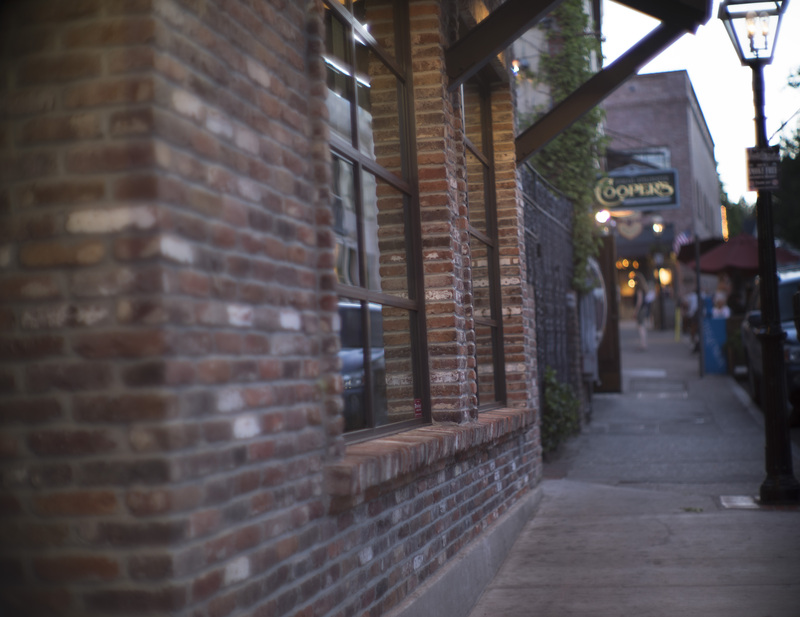 Being an old mining town, the buildings, streets and people… have character. 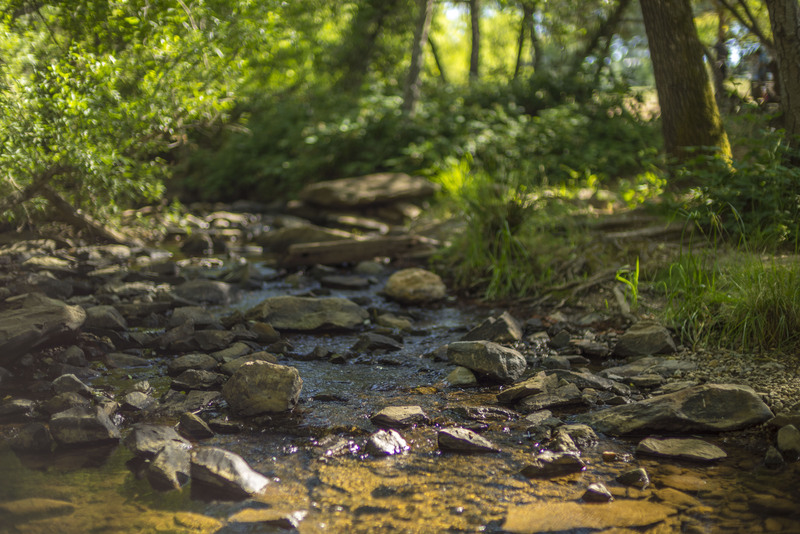 My second venue, Auburn Regional Park had a kool little stream with some sun poking through. As you’ll see, the representation of each lens, and it’s feel/character are explored well. 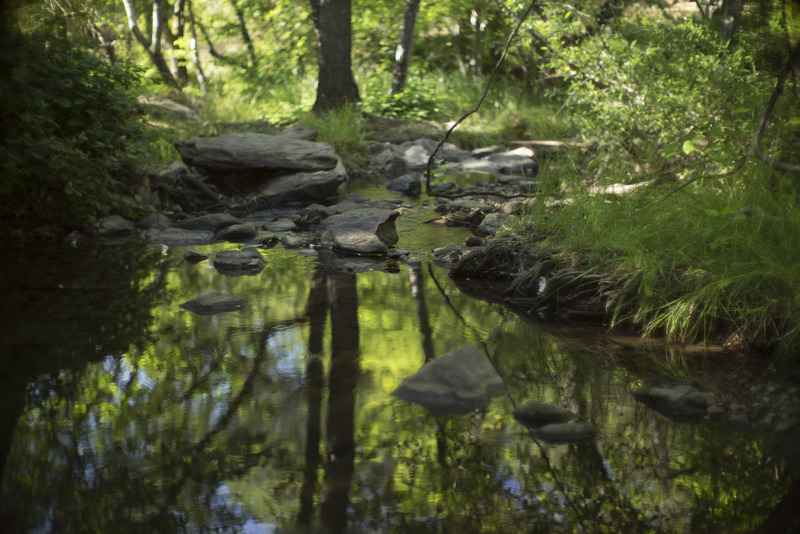 First, above we look at the stream, each lens has a distinct look to it. The Mitakon gets squashed like a waterbug here in color rendering and contrast. It may be sharper on the edges, but it doesn’t have the feel of the other two. 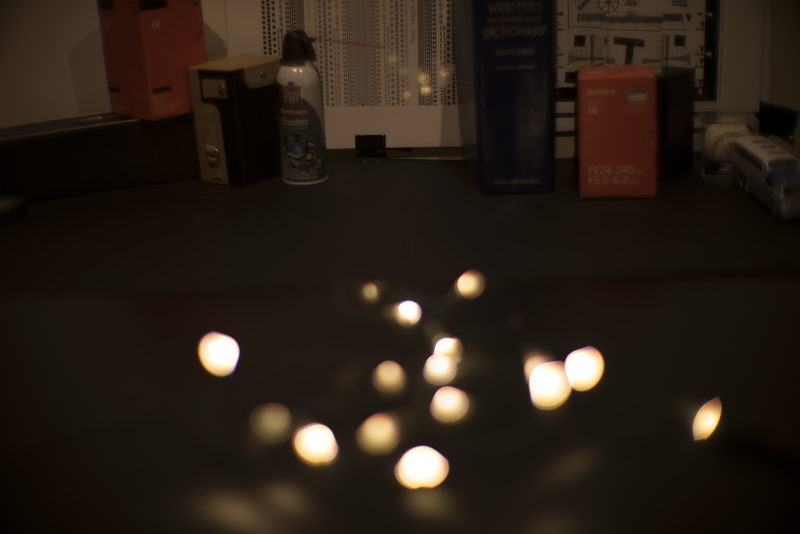 The next scene has more elements to it and some good bokeh opportunities. 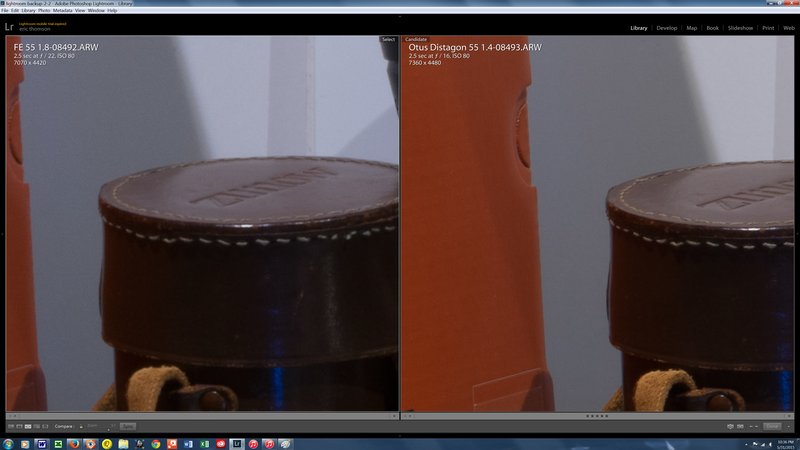 The Canon competes with the Noctilux for feel & character for sure. 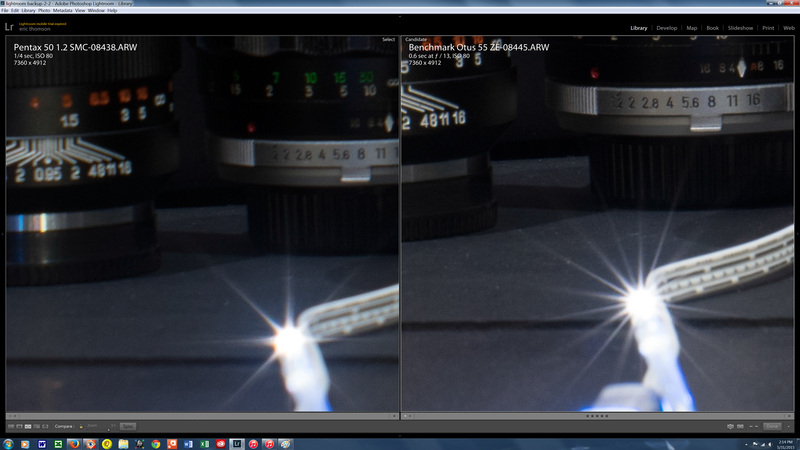 Is it’s lack of sharpness going to be a deal breaker on the new A7rII? There’s something about a Leica, it’s special, the way it renders, it’s ambiance, how it isolates. There are nothing else like them. 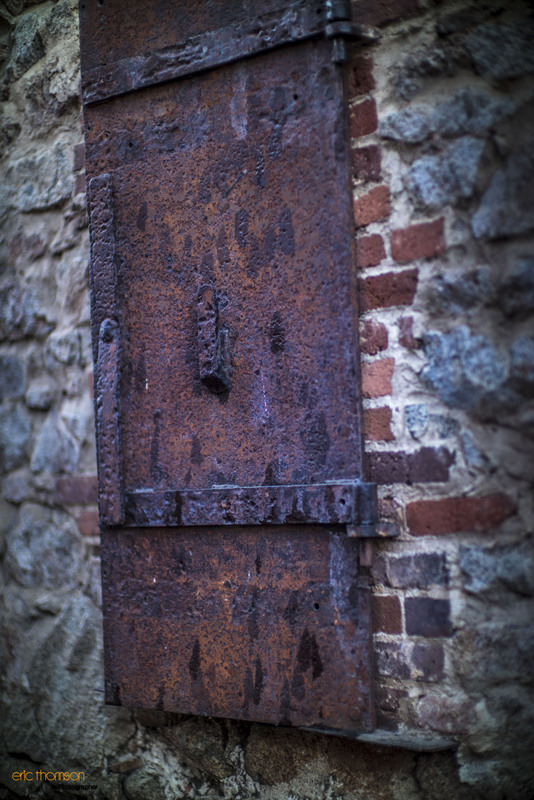 An old rusted shutter on the side of Matteo’s Public in Nevada City shot with the Leica. That Leica feel again in an alleyway. The Canon shooting up past the windows at Three Forks Bakery and Brewing company. The Dream capturing some sidewalk dining on Commercial St. I thought this would be an easy selection, but I guess I was fooling myself. From a budget standpoint, there is one option, the Mitakon Dark Knight. It’s a tad heavier than the others, has enough glass inside to perform really well for any type of close up photography. I’ve tried it a couple times in larger landscapes, and it doesn’t perform. 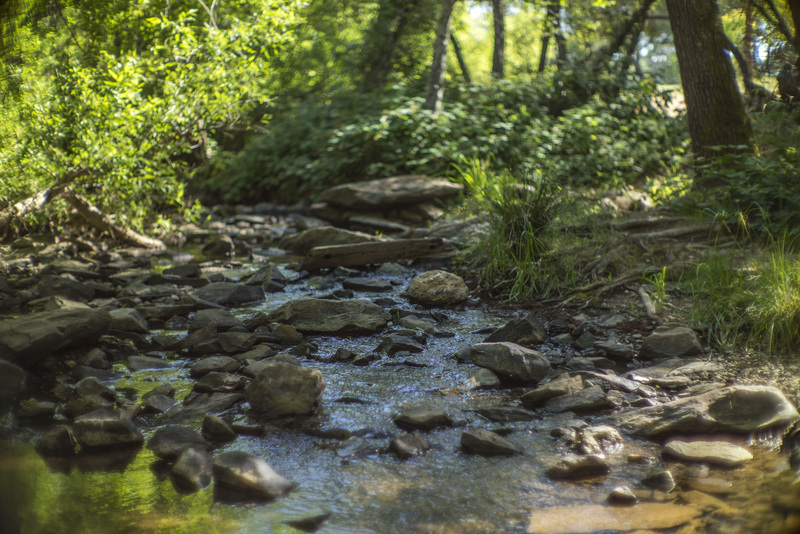 It takes some post processing to get additional feel from it’s shots. Wide open it’s very sharp edge to edge but starts to lose some of it’s strength as you stop it down. Anything under f 6 it’s dynamite! The Canon “Dream Lens” is really stuck in the middle here. The softest of the three, it shows a unique perspective that can’t be found in any other lens made. 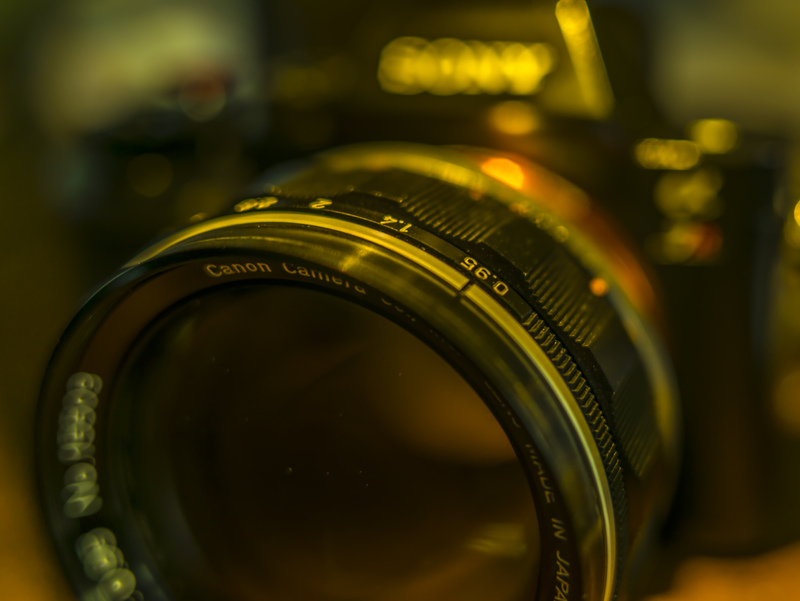 This antique is marvelous on an A7r. 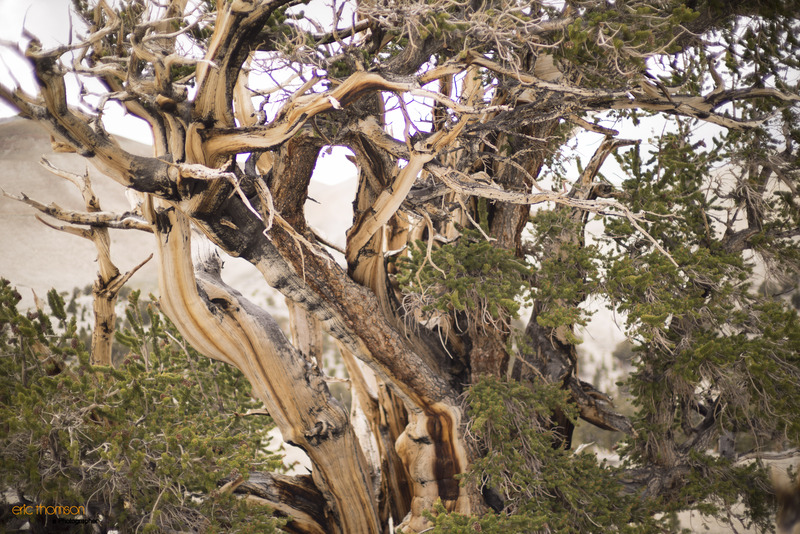 It’s as distinctive physically as it is in photographs. I’m not alone saying it’s awesome being seen with this lens on the camera! 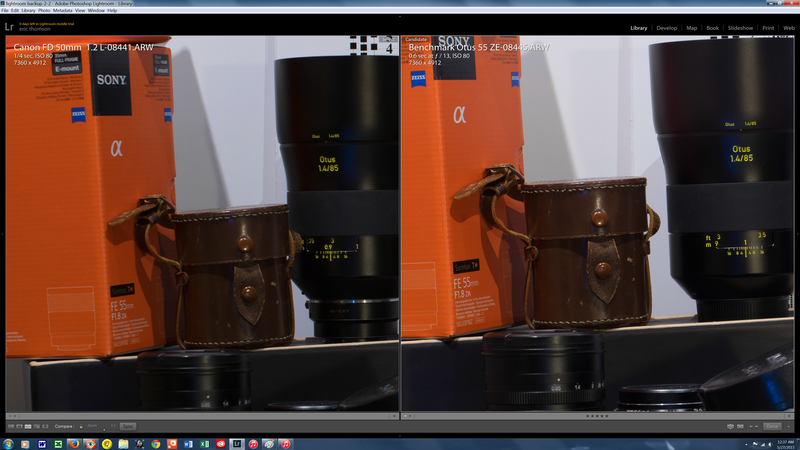 With the upcoming A7rii, I’m afraid it’s lack of sharpness will be even more exposed. 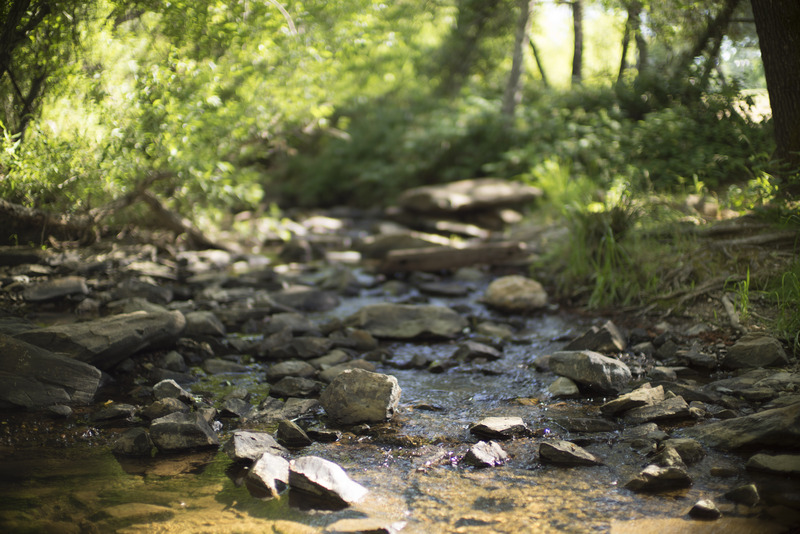 The Canon holds it’s own in larger scenes, keeping it’s sharpness as it stops down. 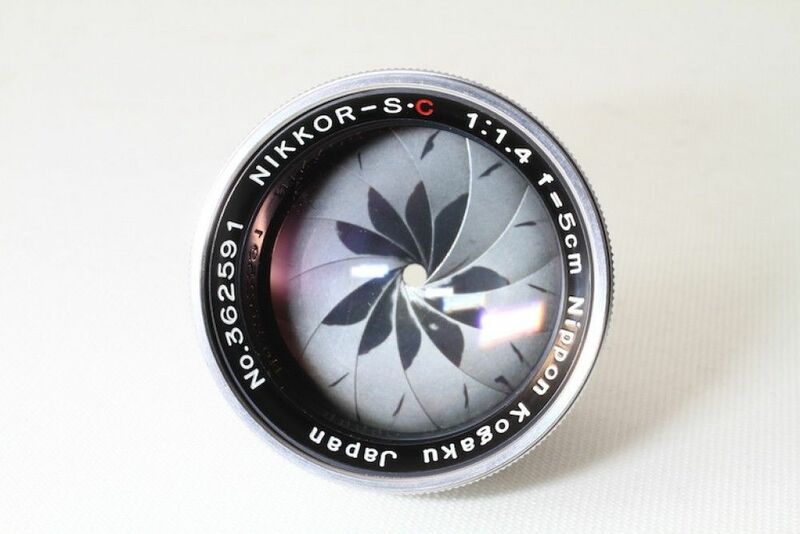 Even at 50 plus years old, this is a better all purpose lens than the modern Mitakon. Finally the Leica Noctilux… Sure you can scream that it’s not worth over 9k! Why would you buy a lens that’s not as sharp wide open as the 900$ Mitakon? My best analogy is a new Shelby Mustang is a really fast car that looks fantastic, but it’s not a Ferrari. The refinements that Leica brings are evident in quality, feel and character. The Noctilux is a complete lens, sharp as hell after f 2, and at smaller apertures, it breathes the rarefied air of Otus… It’s that good. When the scene allows I’d shoot it as a landscape lens which isn’t true of the Mitakon or the Canon really(better, but not great). If price isn’t an object, then this is the clear choice of the three. You really get what you pay for here. ADDENDUM to the Leica review. I didn’t come up in any of the scenes during my review, but further use has showed the Noctilux has purple banding near the center of the frame on darker objects with bright light behind it. 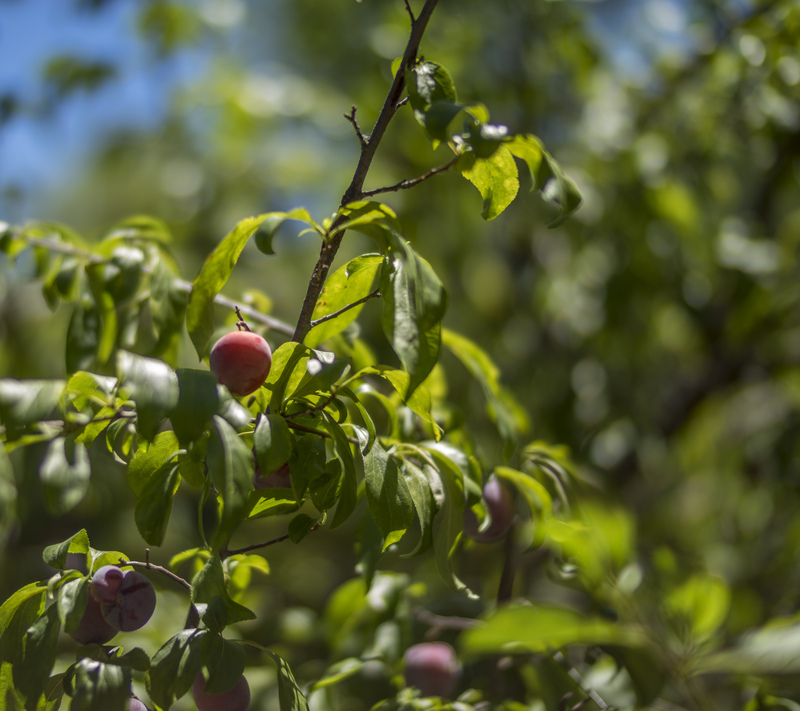 I haven’t tested it enough to know if it’s at all apertures, but wide open, and at 1.1-1.4 this exists and is a huge disappointment on an otherwise wonderful lens. 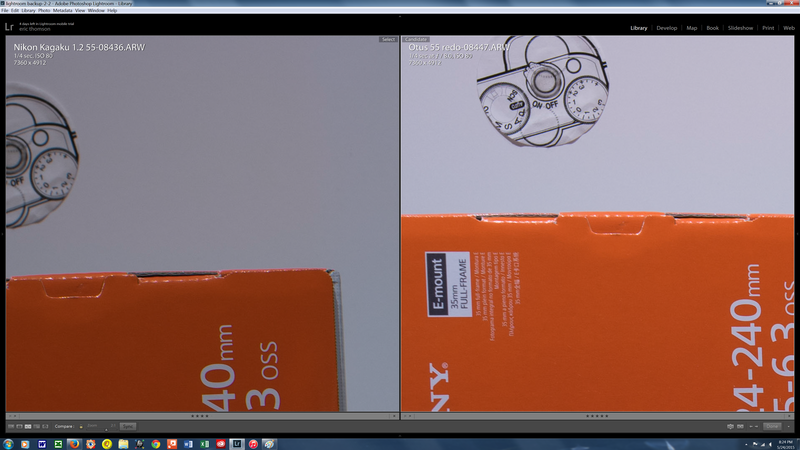 I am getting a copy of a Kolari Vision thin sensor stack replacement A7r and will do further tests.